AUGUSTA, Maine — Pressure is mounting on the Maine Republican Party to reconsider its weekend declaration that Mitt Romney won the state’s caucuses, at least until all votes have been counted. 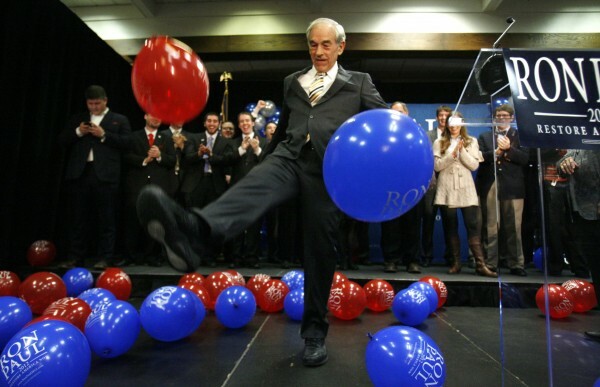 The Maine GOP announced Saturday that Romney narrowly edged Ron Paul, 39 percent to 36 percent, in a nonbinding presidential preference poll taken during the caucuses. The margin was fewer than 200 votes. A number of communities were not included in that poll because they had not held their caucuses by the deadline spelled out by the state party. Washington County Republicans postponed their caucuses, originally scheduled for Saturday, Feb. 11, because of a pending snowstorm and will now meet this Saturday. Other communities across the states also have caucuses scheduled for this weekend and later this month. All along, state GOP officials said communities knew that their votes would not be included in the final results if they did not hold their caucus by Feb. 11. However, a review of the town-by-town results released Saturday by the Maine GOP suggests that some communities that had caucused prior to Feb. 11 were not counted. Nearly all Waldo County towns held caucuses on Feb. 4 but those towns were blank in the results released by the state party. Additionally, Waterville held its caucuses ahead of time but were not included in the results. Waldo County GOP Chairman Raymond St. Onge said the results were sent to the state party on Tuesday, Feb. 7. He said those results probably would not have changed the outcome but was disheartened the votes were not included. St. Onge said he spoke to party officials late Tuesday about why Waldo County’s results were omitted. Maine GOP Chairman Charlie Webster said Monday that including all caucus votes likely would not change the outcome of the state’s preference poll. Asked whether the party would consider updating the result to include all communities, he said that is up to the state party committee, which meets next month. Some big names already are urging the party to reconsider. L. Sandy Maisel, professor of government at Colby College and a Democrat, said the perception seems to be that because the Maine Republican Party establishment largely supported Romney, it was selective when tallying the results. “It sure looks like they counted what they wanted to count,” he said. Paul supporters have taken to Facebook to generate interest in Maine’s remaining caucuses. Even Paul supporters in New Hampshire are planning a get out the vote effort in Washington County’s biggest towns this weekend. In 2008, only 113 Republicans caucused in all of Washington County, according to Webster, and only eight of those voters supported Paul. But Maisel said that’s not the point. Even if the results don’t change, the party needs to acknowledge that perception is louder than reality at the moment. Maisel said he thinks the caucus process should change but doubts that it will. He also said he fully expects record turnout at the Washington County GOP caucuses this weekend.